Student Association Vice President for Community Affairs Theo Leavell submitted testimony March 22 on behalf of the student body in support of the helipad. Student leaders are weighing in to express support for a proposed helipad atop GW Hospital as the D.C. Council prepares to consider voting on the project this summer. Two student organizations submitted written testimony last month to the D.C. Council to voice support for the project, which has sparked controversy among some Foggy Bottom community members who say passing medical helicopters will bring disruptive noise to the area. Student leaders said they wanted to make sure council members knew that students, who would be mainly affected by the noise, back the helipad proposal – which they said would save the lives of critically injured patients. Hospital officials, who have been working on the proposal since 2012, have sought to construct the helipad because they said traveling by helicopter rather than ambulance would shave potentially life-saving minutes off the trip to the hospital for patients in dire need of medical care. 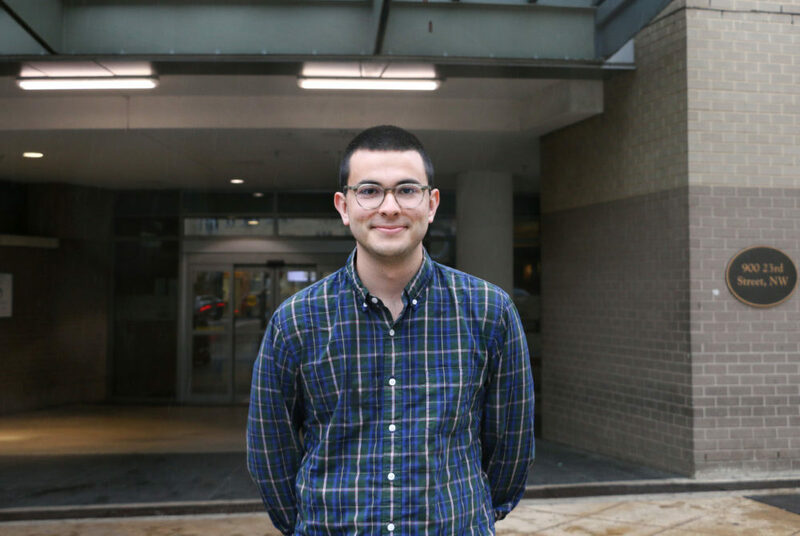 Sophomore James Harnett, a Foggy Bottom and West End Advisory Neighborhood commissioner, said he asked the Student Association and Residence Hall Association to submit testimony to the D.C. Council to show students were not neutral on the issue and actively favored the project. Harnett said students didn’t attend the council’s last public meeting March 12 to discuss the proposal because the hearing was held during spring break. Harnett said he wanted to give students the chance to voice their opinions before the council gives the final approval on the project at a date yet to be announced. The council is expected to vote on a bill to reverse a 1987 law banning the construction of new helipads to pave the way for the GW Hospital project to launch. The vote will likely take place within the next few months because some council members indicated they want to finalize the issue by the end of the summer, Harnett said. The ANC voted in support of the helipad project in a meeting last October after several months of controversy surrounding the proposal. Area residents raised concerns that the helicopters could create excessive noise in the neighborhood, but a report by GW Hospital officials last spring found that the noise level from helicopters would be equal to or lower than ambulance sirens, except when the helicopter is directly above the hospital. Although the council has not yet approved the helipad, Harnett said the hospital is already readying for the project, building a new surgery room on its top floor. Residence Hall Association President Rachel Metz said students in residence halls constitute a large part of the area that would be affected by helicopter noise and have an important voice in changes that will happen at the hospital. “The neighborhood has been very involved in sharing their feedback, and we want to make sure the students and residents are represented as well,” Metz said. The RHA’s testimony, submitted March 27, states that current airlifted trauma patients land far from the hospital before traveling through the “often-congested city” by ambulance. GW Hospital – one of four hospitals in the District that meet top care standards for trauma – can receive critical patients as a direct destination, cutting down on travel time, the testimony states. Concerns about noise and safety issues do not outweigh the life-saving benefits that would come from the helipad’s installation, Metz said. “Of the few times I might be woken up by a helicopter, that is a life being saved of a person who is having a much worse night than I am,” he wrote in the testimony. SA President Peak Sen Chua and Vice President for Community Affairs Theo Leavell submitted testimony March 22 on behalf of the student body in support of the helipad. Chua said the SA’s contribution shows the importance of bringing student voices to community issues. The SA’s testimony states that the helipad project would allow for more efficient responses to serious medical emergencies because the hospital will have a higher capacity to treat trauma patients.